Quick note: yesterday I posted some writing tips over at Brett Michael Orr's blog. If you have any questions, drop them in the comments there and I'll answer! Right, I think that paragraph explains it pretty well. I've been embracing my own culture more and more when it comes to writing — Winner Takes All's Delenno is based more or less on China — and I feel I should share with you guys some of the more interesting and amusing aspects of my culture. Chinese New Year is essentially the start of spring, or the holiday in February that never hit my birthday until this year (next week!). This year, CNY was on February 19th, two days ago. This is the year of the Ram -- we rotate on a twelve-year basis on a Zodiac-like system with animals like dragons, rabbits, etc. We eat un-eco-friendly stuff like shark fin and seaweed hair things. Married adults put new banknotes in red packets — red symbolises good fortune in China, and I even call scarlet "fortune's red" in Winner Takes All — and distribute pairs to kids. It has degraded from a custom wishing people luck to a method of gauging how generous other people are. Not even kidding. This makes me a little sad, because it's a really great tradition that teaches us how to share our blessings, both monetary and spiritual. This sort of change is also what prompted this series. This year, I'm going to embrace my own culture more, and stop thinking so much about myself and more about everyone else. And yes, that includes you: I've got two posts coming up next week that explain how! That's enough from me: what do you think of this celebration? Does your culture have any special way of celebrating spring or the new year? What should I do with all this money!? * Let me know in the comments! *You'll find out how I'm spending it next week on my birthday, 27th February; so do drop by! Trust me, you'll want to. Chinese New Year sounds like a ton of fun! If I'm correct, Chinese New Year also happens around the time of other Asian new years, and I have some Asian in my family, so I usually get one of those little packets of money. We don't actually have a full on celebration, although some of my friends do. I confess I'm not sure about other Asian new years. However, considering it's also called Lunar New Year, and I'm guessing the same area used the same lunar calendar, I suppose it's the same thing! Yay! Oh, it's a huge thing over here. (Not just because of the money, I swear.) Even if your family is very Western and stuff, chances are you'll be gearing up for all the traditional celebrations anyways. That's why it's amazing -- it's a reminder of the culture that Hong Kong, despite being modernized, can still retain. 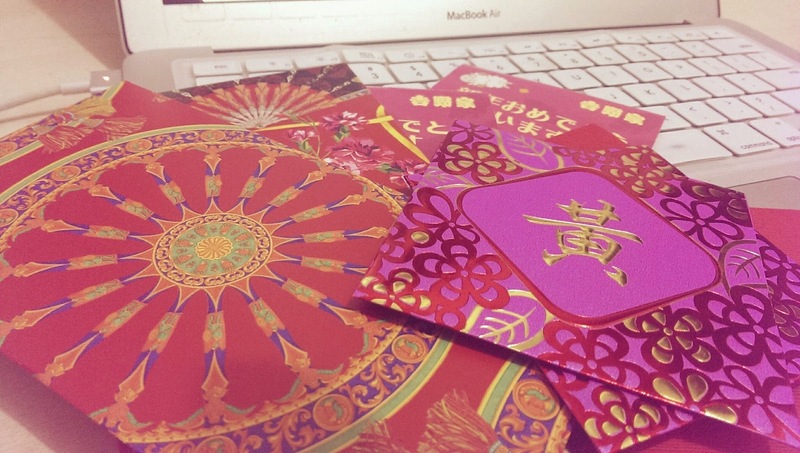 I remember wishing for a Chinese-style New Year when I was younger--who doesn't want money?! We always had a bunch of nonfiction books about different countries and cultures around our house, too, and I remember being particularly fascinated by all the different holidays. Mostly because of all the photographs of delicious-looking food, I think:) Great post! POINT. I don't read a lot of nonfiction, but I do watch a lot of documentaries. Somehow I feel like it's much easier when I can see actual people waving at the camera. And to be honest, I have difficulty keeping track of all the holidays too, but who cares? HOLIDAYS. I think its super cool that you are embracing your culture. I don't really know much about it, so I'd love to know more. All the Chinese I meet are more interested in western culture and don't really give long answers to questions about theirs. We had a Chinese New Year-themed dance at school, because our mascot is the ram. XD Anyway, I was always impressed by this holiday as a kid because I saw it on Caillou and I thought it was so cool. It sounds like Chinese New Year is a little bit of a mix between Guy Fawkes Day and Thanksgiving (but without a dead Guy), and it is so cool to see how you celebrate, even if some people have lost touch with the original intent. Yay! *passes chocolate to sitting-there-people* Also, my Fan Month post is scheduled to go up on Monday, so more yay! (Sheep sounds like a swear word?) XD I haven't actually seen V for Vendetta because we didn't get to it in my English class... So I shall get it from the library, methinks. :D :D Yay! I can't wait to see it! The way some people pronounce it here, yeah. :P It's really worth watching, so. IN JUST HALF AN HOUR YAYYYYY. Absolutely! I have *counts* 25 RED PACKETS. MWAHAHAHA. I foresee I shall have much fortune in this year! (And money. Let's not forget money.) WTA, which you know about already, incorporates so much Chinese culture I'm a happy dancing porcupine whenever I write it. 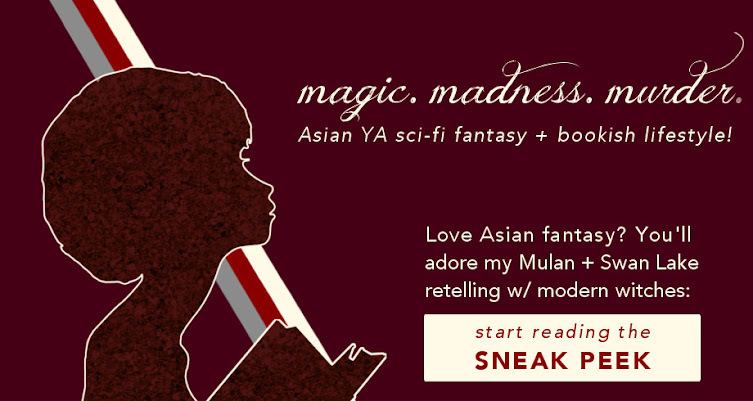 And there will definitely be more posts about Chinese culture -- I've written up half of one already! THIS IS SO COOL. I'm always super interested in how people celebrate things. I always want to do posts like this about Australia except...I'm like the most unconventional Australian of ever sometimes. -_- I would probably give everybody the wrong tradition ideas. hehe. My sister used to live in China, so I went over there for a month and it was aaaamazing. Food = delicious. I will forever love fried eggplant and sticky rice and real legit sweet and sour pork. UM WHAT WAS I SAYING? OH YEAH. Happy Chinese New Year! Ooh, really? YES ALL OF OUR FOOD IS AMAZING. Okay, I don't really like eggplant, but omg sticky rice. And sweet and sour pork. Basically all of our buns/dumplings/rice or flour-involving things. Honestly. THANK YOU. Happy Chinese New Year to you too! WOOHOO. *dances around with red packets in hand* It's absolutely amazing to have an excuse for a family reunion, even if you don't get red packets. Besides, the idea is in wishing others good fortune ... I do suppose it's more cost-effective for adults to abandon it. But I do think it's an important part of our culture. HAPPY CNY!